The snow-capped Qilian Mountains rise up mistily between the borders of Qinghai and Gansu, forming a stunning tableau behind the lush meadows and sleepy settlements of these provinces. They form part of the Qinghai-Tibet Plateau in the northeast and part of the Hexi Corridor in the southwest. 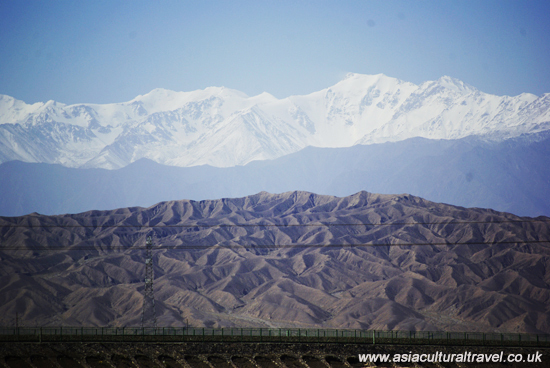 Having stood for thousands of years, this mountain range has been witness to mankind’s history from the construction of the Great Wall in its northern reaches to the bustling trade that took place along the Northern Silk Road passing through the Hexi Corridor. Magnificent shimmering glaciers, thick with ice, cover an area of over 1,970 square kilometres (760 sq. mi) atop the range. To put that into perspective, this icy expanse dominates an area larger than that of London! It is the most important water source for the Hexi Corridor in the north and the Qaidam Basin in the south, making it invaluable for the inhabitants of both Gansu and Qinghai. 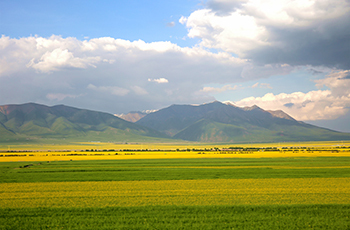 Its only mountain pass is known as Biandukou, which connects Minle County in Gansu to Qilian County in Qinghai. The mountains themselves rise to an average height of about 4,000 metres (13,000 ft.), with the highest peaks towering at over 5,800 metres (19,000 ft.). This makes the average mountain peak over four times the size of the Burj Khalifa in Dubai! From the verdant valleys where nomads graze their sheep to the icy peaks untouched by mankind, the Qilian Mountains are a natural wonder that have provoked the curiosity of visitors for decades.